Special Olympics Arkansas currently offers Healthy Athletes clinics year-round. The largest event takes place at Summer Games each year. The event hosts all six disciplines and provides 1100 screenings. A variety of events host one or two disciplines throughout the year providing 100-300 screenings. In an effort to extend our reach in Arkansas with Healthy Athletes we have added a purely educational extension of our clinics, Live Healthy Education Fairs. As of 2019 Special Olympics Arkansas has added a seventh discipline. Before athletes step on the playing field, they are required to have a comprehensive sports physical. 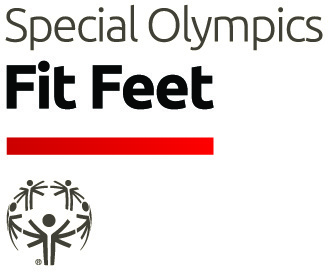 MedFest was created to offer the physical exam that all athletes need prior to participating in Special Olympics sports. Screenings assess blood pressure, temperature, pulse, height, weight, body mass index, vision, hearing, medical history, potential medication side effects and general physical health. It is sometimes the first exposure these athletes have to medical care in years. In many cases, life-threatening conditions have been found and subsequently treated thanks to MedFest. If you are a healthcare professional interested in getting involved with any of our Healthy Athletes clinics or programs please reach out to Camie Powell. Below are the seven different disciplines of Healthy Athletes that Special Olympics Arkansas offers. Each athletes that attends receives free health screenings, education, and referrals for follow-up care. As the audiological component of Healthy Athletes®, Healthy Hearing was created to assess the hearing of athletes using multiple screening methods such as pure tone testing and tympanometry. In some cases, like at the 2007 Special Olympics World Summer Games, healthy Hearing volunteers are able to provide free hearing aids that immediately restore hearing for athletes, thanks to corporate donations. With eyes wide open to the needs of people with intellectual disabilities, Special Olympics – Lions Clubs International Opening Eyes®, was created to provide free vision screening for Special Olympics athletes. Opening Eyes also works to educate athletes, parents and coaches about the importance of regular eye care, and enlightens and alters the attitudes of eye care professionals about the vision care needs of people with intellectual disabilities. Professionals can also earn continuing education credits. Special Smiles has demonstrated remarkable success in its mission to increase access to dental care for Special Olympics athletes, and to all people with intellectual disabilities. Today, Special Smiles is considered a leading advocate on standards for care an equality-of-care issues. Initiatives to increase public, governmental and professional awareness of oral health problems faces by people with disabilities. Dental education programs for dental professionals, dental schools, community residences, institutional facilities and Special Olympics athletes. Nutritional guidelines and programs for our athletes. Research on the oral health needs of people with disabilities, for use in health care reform; and fabrication of adaptive devices and oral facial sports programs for people with quadriplegia. Professional volunteers (Dentists, Dental Hygienists, students) interested in assisting with Special Smiles events contact. ​The goals of MedFest include: offer a free sports physical and other health examination services to people with intellectual disabilities, recruit new athletes to Special Olympics, foster new partnerships between Special Olympics and the community, and provide physicians, nurses and other health care providers with training and specialized experience in caring for people with intellectual disabilities. providers can create and maintain a listing in the Provider Directory.